A laundry rack is a must for every home that features a washing machine. 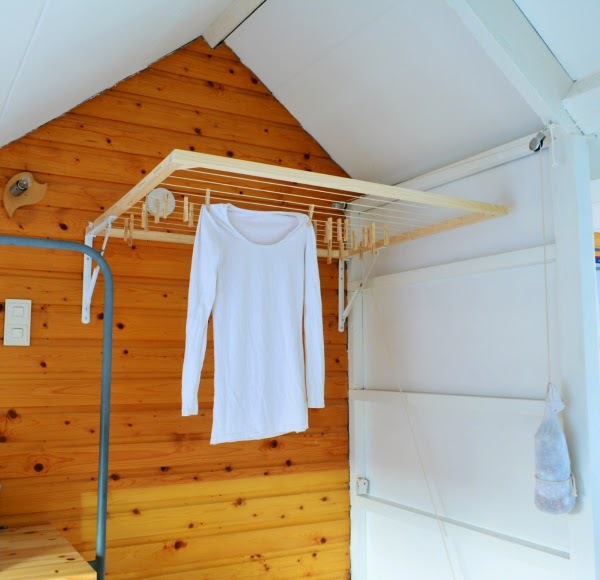 Drying your clothes can be done anywhere – inside, outside, wherever you have space and there are a lot of options from built-ins to usual mobile racks. You can build a totally new piece yourself or renovate an existing one, or example, turn a floor rack into a wall-mounted one. 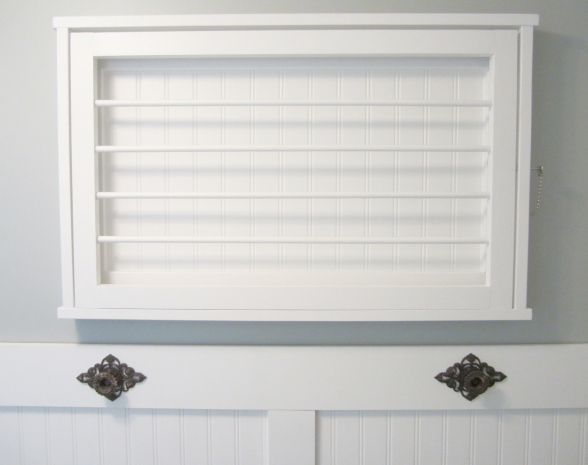 Old furniture is also a source of parts for a drying rack: you can take a part of a crib or an old ladder to make one. Today I’m sharing some useful projects that will tell you how to make such a rack, let’s get started. 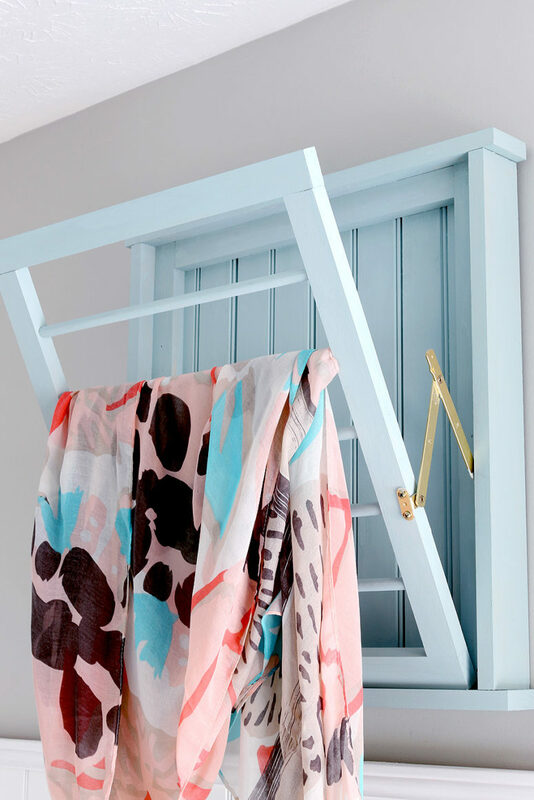 Here’s a beautiful and functional DIY drying rack for those items that need to be hung dry! This awesome DIY project to keep the money in the bank. When not in use, just fold the rack and it will be flat on the wall, which means that it won’t take much space. and the color is very fresh and clean, though you may try any other if you don’t like it. 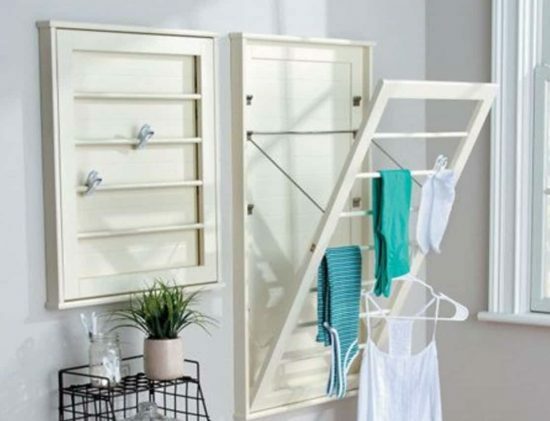 Here’s another wall-mounted drying rack for any space but most of you will attach it in the laundry room or bathroom. It’s done in white and it isn’t big but you may vary the size and of course the colors or install several such shelves wherever you want. Such a piece will save you a lot of money while being rather easy to make! Make laundry day a little easier with this space-saving clothes drying rack. It drops down when you need it, and folds away when you don’t. With adjustable levels, you can determine how far you want to extend it. Even a small laundry room can accommodate such a shelf or even several ones to let the laundry dry hanging, it won’t be that wrinkly. Get inspired! 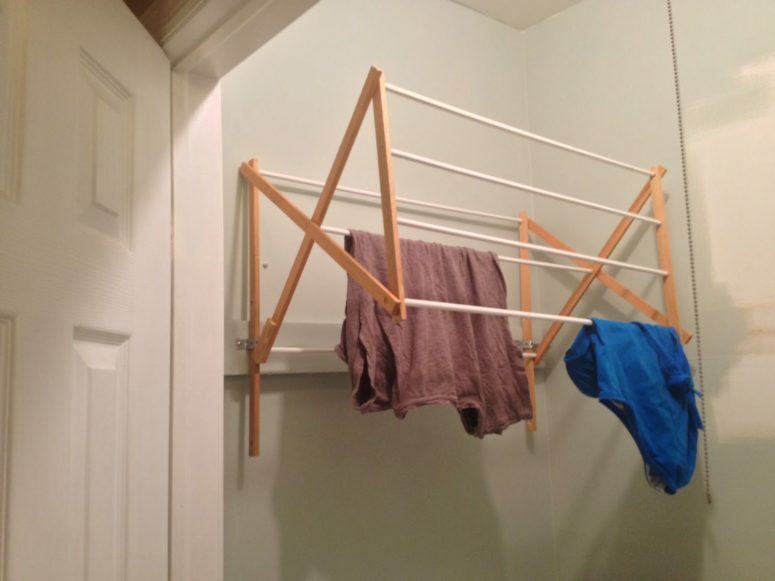 Living in a small home, you have to look for space-saving options for each room, and this simple drying rack is one of such things. The idea is similar to the previous laundry racks: it’s a wall-mounted foldable piece but it’s even easier than them, it’s just one piece that can be folded to the wall, no other bases, just the wall. It’s ideal for a modern space and requires fewer materials than the previous options. Here’s one more wall-mounted rack that can be hanging when in use and then folded back to the wall. The piece is made of an old crib detail, which was renovated and repurposed to make a rack. Such an item will fit a vintage or a shabby chic space, though it depends on the crib piece – if it’s modern, it will be a fit for a modern room, too. This combo is a rack plus shelf in one, which is again great for a small space. The upper part is used as a plant stand here though you may use it for some small stuff, the lower part is a drying rack. 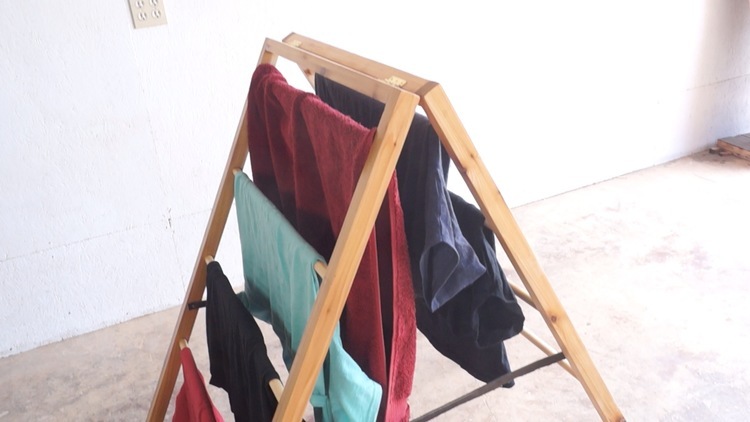 This DIY laundry rack also works well for drying other delicates, like knit sweaters. Get inspired to make one! 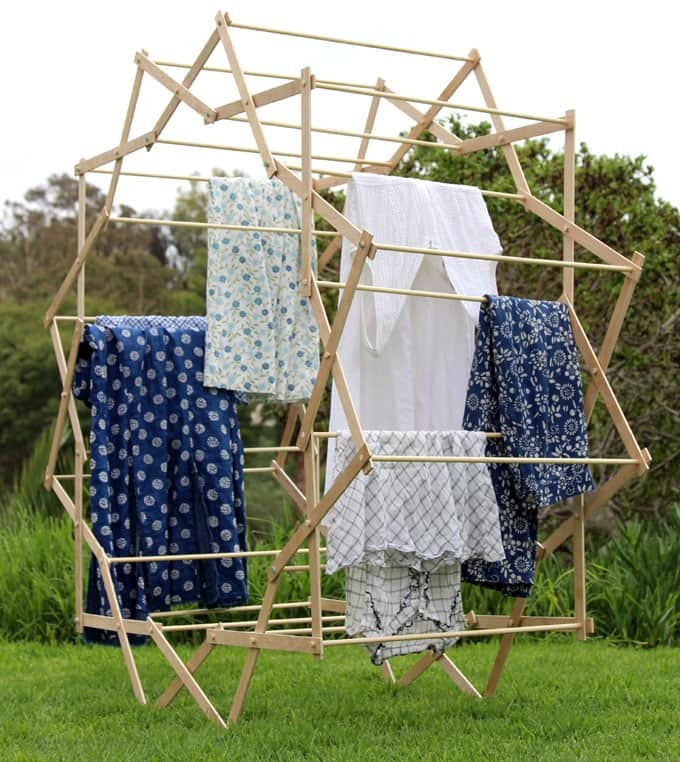 This foldable drying rack is ideal to dry clothes whenever you want as it’s mounted inside. 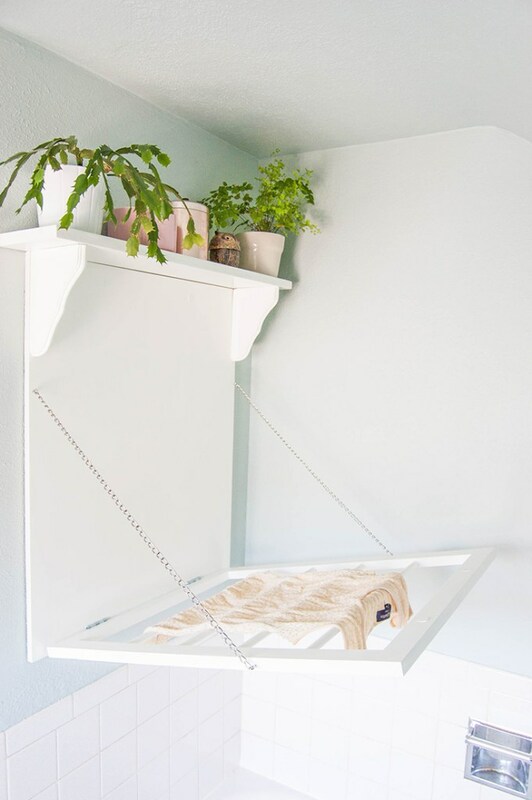 You can easily upcycle a child’s play pen, or baby crib and it’s incredibly easy to make! It’s a great way to upcycle that out of use item that is just cluttering up your shed! The tutorial contains a video that will tell all the details and will show you how to make it step by step. If you don’t want to spend much time making a wall-mounted rack, repurpose a usual one, which can be already at hand. This tutorial will tell you how to change a usual foldable drying rack into a comfy wall-mounted one, just remove various parts and attach it to the wall. The tutorial will tell you how to do that, get inspired. 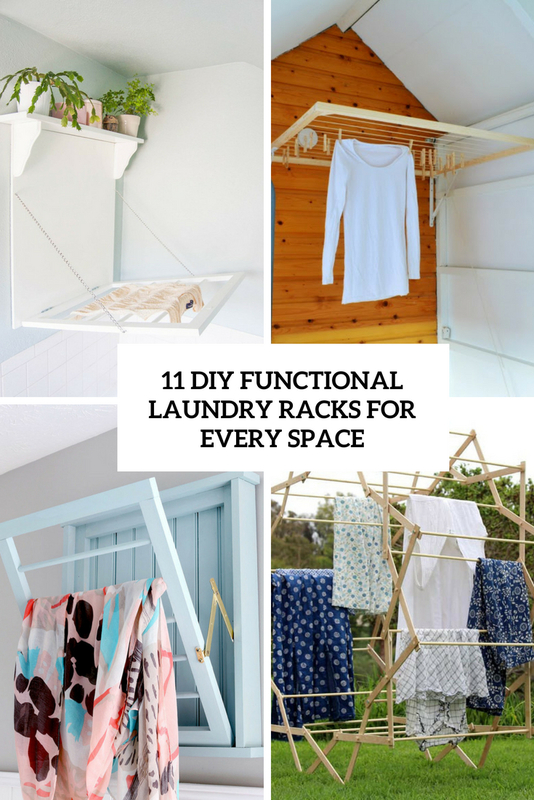 Make a simple and fast drying rack for every space! This is a genius idea, suitable for every interior, it’s a drying rack made of an old ladder. 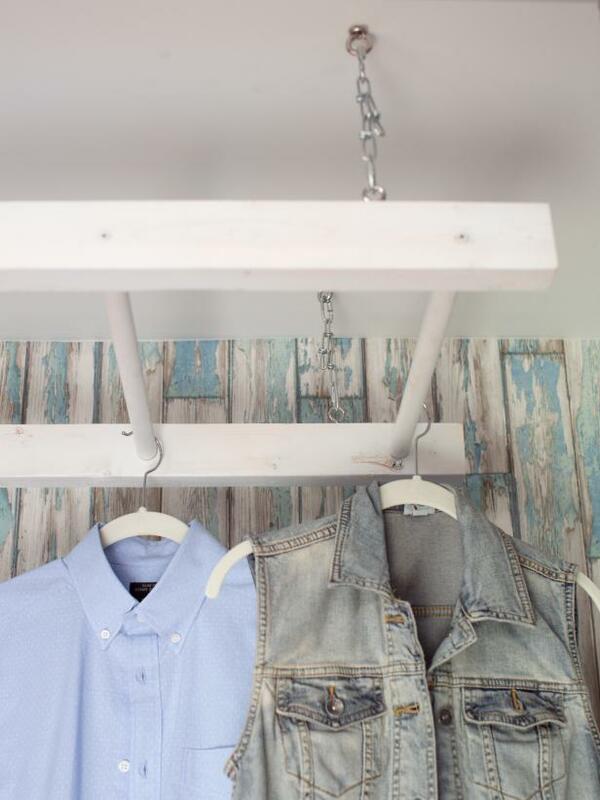 You may first stain or repaint it as you want and then hang it to the ceiling using chain or thick rope. Think of attaching some large hooks to the wall to store the rack when not in use. Easy to make, won’t take much time, get inspired and create such a rack for your home! The main advantage of a mobile rack is of course its mobility: it can be placed wherever you like, taken outside when the weather is good. One more good idea is to combine the mobility with functionality: make a folding mobile drying rack. This drying rack is built by principle of a ladder and is very comfy, when you don’t need it, just fold it and place wherever you want. Imagine a functional piece of furniture: not only is it beautiful, but it magically expands like a sunflower blossoming, or a kaleidoscope unfolding. It folds into a tiny footprint for easy storage and costs just some bucks. You may dry clothes outside on it or get it inside if there’s enough space for such a large star. It will be a fun and cute part of decor, enjoy!